This is our first big print job as mimoYmima, we were introduced to an amazing family run offset printer in Manhattan called Nobel Printers and couldn’t be happier with their work. We did everything in one day in their small shop, made the plates, chose the paper, mixed the ink, and ran the website developing job! We first started with the website development to make sure it was done and ready, we help re designed it to get more attention in the details they work with, after this we worked on the SEO with the help of one of the Best Phoenix SEO Company to manage this topic, so we could reincorporate their website in the latest search, so at the end they can get more customers and viewers interested in their product. Then we used the illustrations and fonts to make the plates, and printed all the new products to start the re branding. Wendy’s name – Weidenbaum, means ‘willow’ in German. So she knew she wanted a willow tree as her logo. We created this tree in photoshop to look like it was hand stamped. Picking colors worked out great this time around. Lots of times a client wants to see a ton of color options, but with this job we nailed it on the first try. 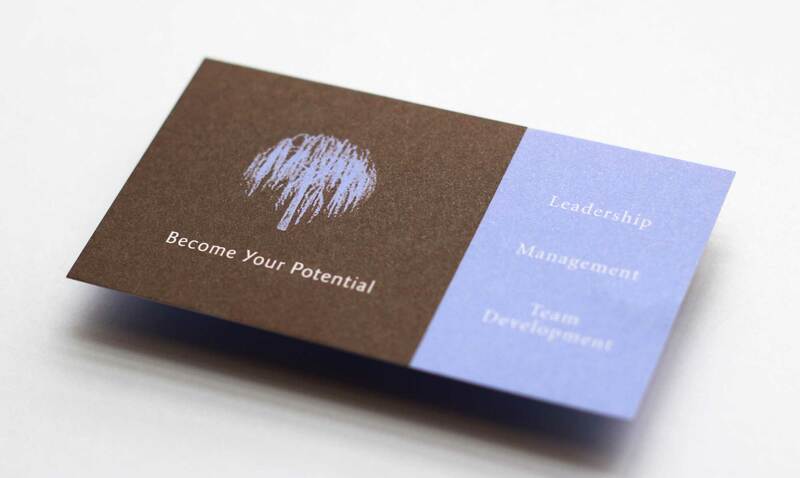 The hazy blue-purple color contrasts the deep rich chocolate brown to make a look that’s original, artistic, and professional. The announcement (not pictured) we wanted to be really artistic so we totally splurged on the thickest, most expensive paperstock available. 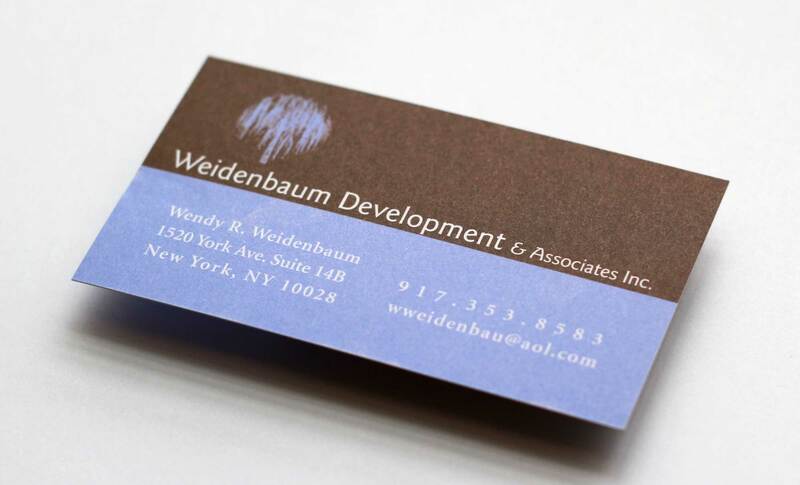 We designed the piece to basically show off the identity and announce Weidenbaum Development’s existance to the world. All the technical info is on the back (not pictured but also looks cool). For the envelop (not pictured) we wanted something that was really going to grab people’s attention, since she wanted to send these to the kind of people who are inundated with too much mail we needed to create something that would stand out and be opened. SIDE NOTE: Printing envelopes like this is NOT easy, we spent most of our day on-press working on the envelopes; trying to get solids to print without seeing the crease where the envelope is assembled.